The only time I’ve been to Quebec was when I was about three years old. I don’t remember much, but I do remember buying a plastic French poodle in one of the shops. 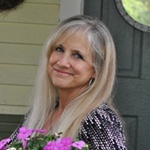 I would love to go back someday to admire the historic architecture. 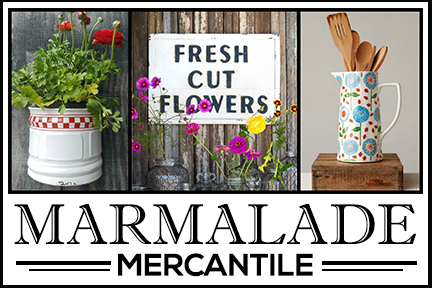 Today we’re traveling to Canada to tour a charming Quebec cottage, designed and decorated by Sonya Kinkade Design. 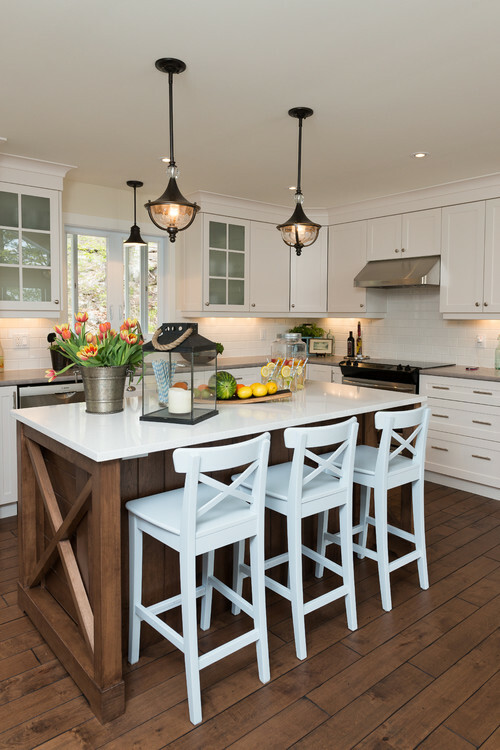 The cottage kitchen is light and bright, but includes warm touches like the wood kitchen island and the brushed bronze pendant lights. 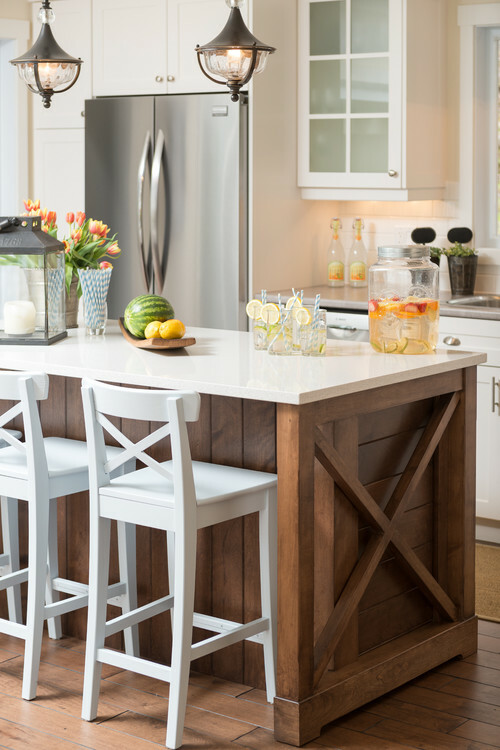 Glass front cabinets intermingle with white cabinets. 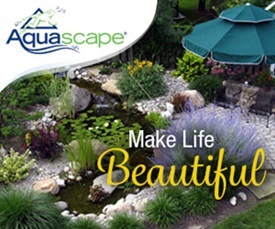 A window over the kitchen sink provides gorgeous views of nature outside. The dining room with its charming rattan chairs shows a better vantage point of the expansive views outside the Quebec cottage. 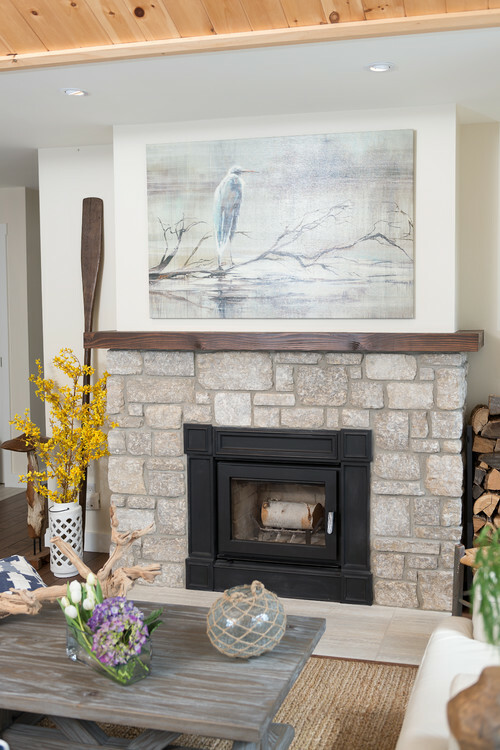 The living room enjoys a natural stone fireplace. Artwork replicates a possible scene outside. The living room enjoys the same lakeside views as the dining room. Neutral tones dotted with blue create a relaxing space. 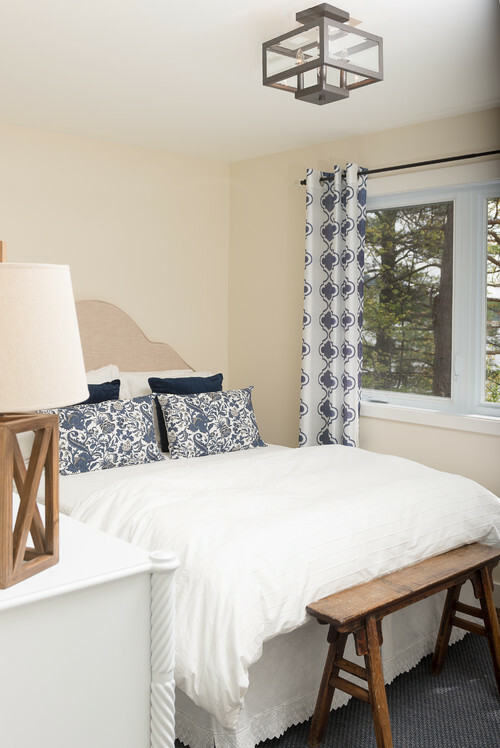 The bedrooms are filled with Quebec cottage charm. Scalloped mattelasse pillow shams add softness to the black metal bed. 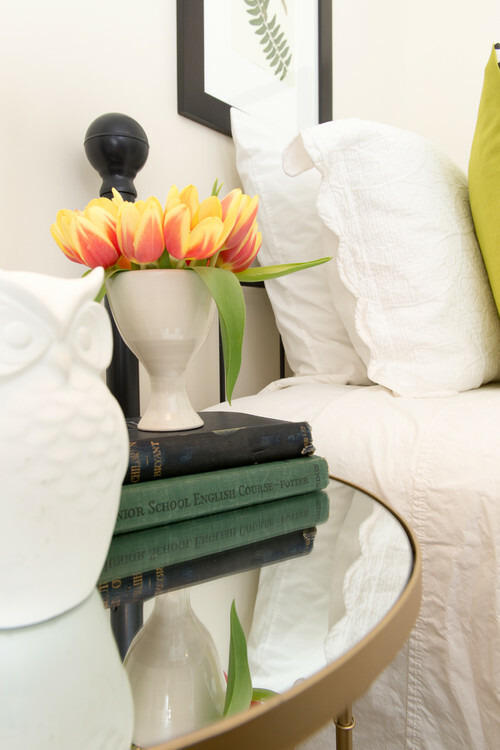 Vintage books playfully prop up a small vase filled with colorful tulips. A smaller bedroom enjoys cozy views of the trees and lake outside. Black toile graces the foot of black metal beds while framed ferns add an element of nature. 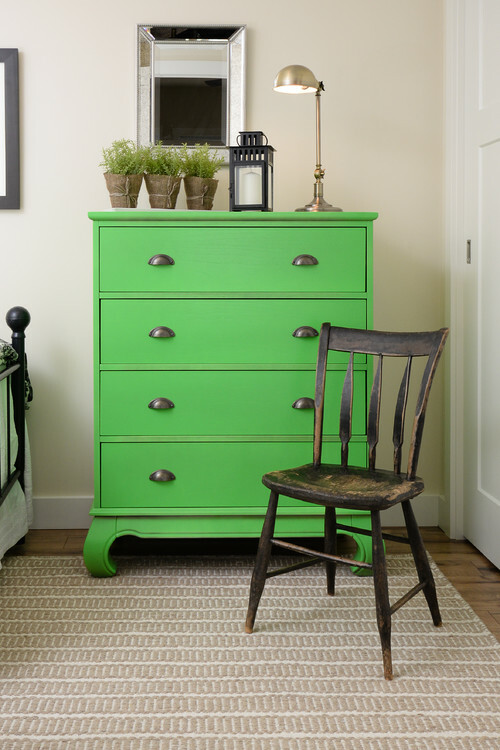 A vivid green dresser adds a fun pop of color. 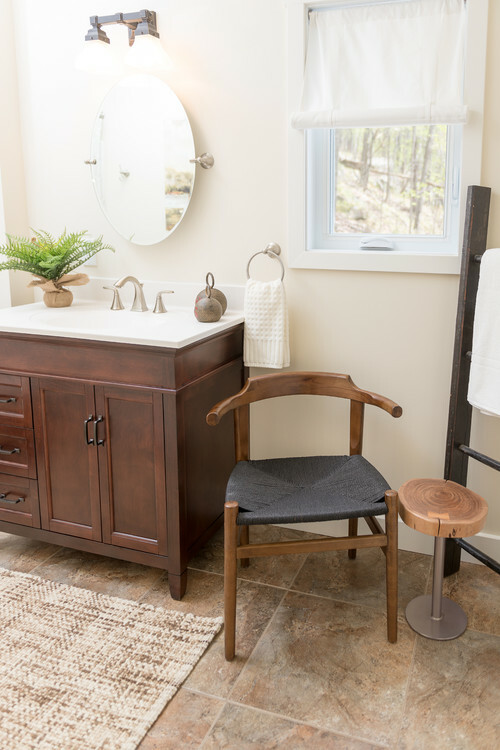 Warm woods populate a bathroom with simple linen shades at the windows. 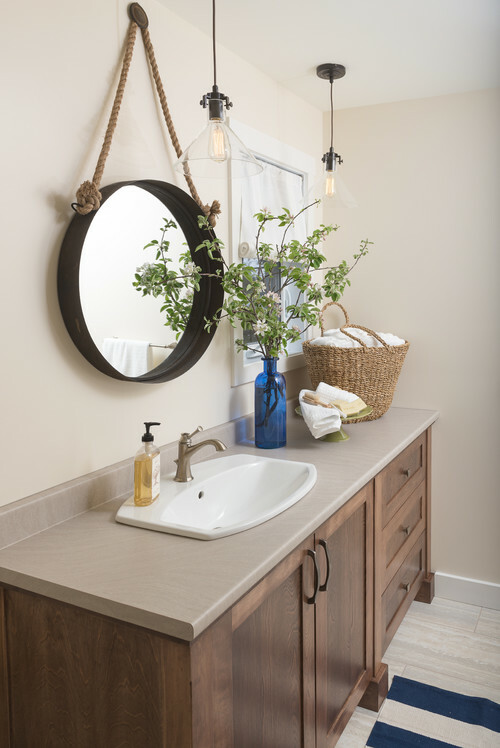 A rustic mirror suspended by roping adds whimsical charm. 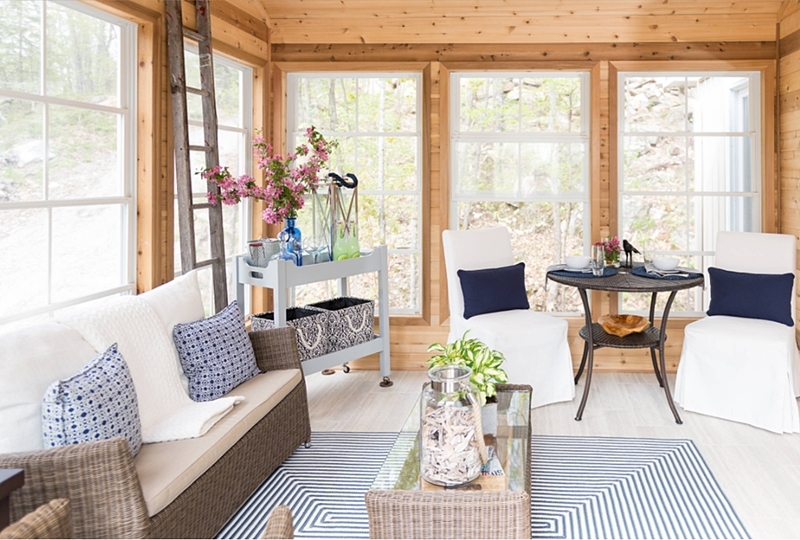 When you really want to commune with nature, a beautiful sun room provides the perfect spot for curling up with a novel or cozying up to a small table for an intimate meal. 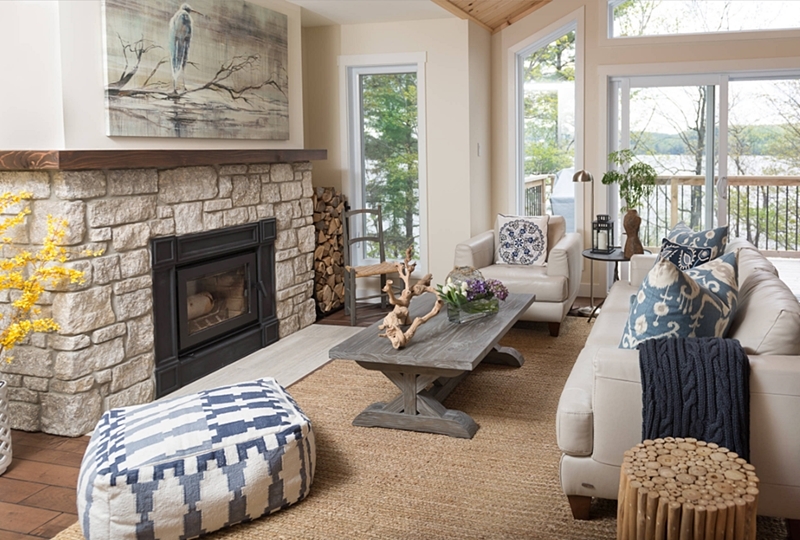 You can see even more of today’s charming Quebec cottage over at Houzz. 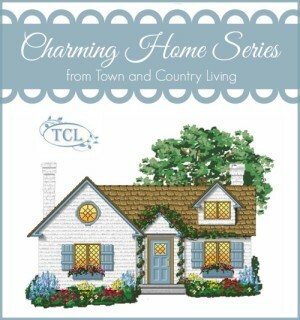 Very pretty and warm cottage design. I like the kitchen the best. Very nice. The artwork over the fireplace is my favorite thing in this house. Sigh, good thing doesn’t cost anything to dream. Got few ideas from photos. 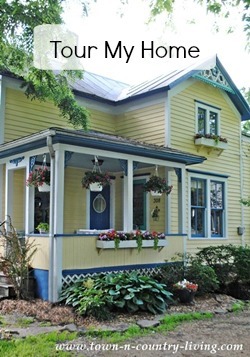 What a charming lovely home.